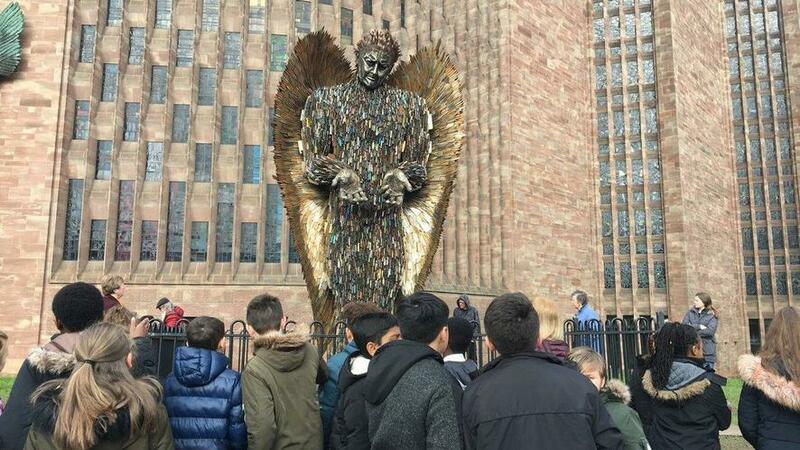 Year 6 took a walk down to the cathedral to see the amazing sculpture of an angel made entirely from confiscated knives - the ‘Knife Angel’. They used the visit to continue their discussions about anti-knife crime and the dangers of carrying a knife, but also to produce some emotive pieces of writing. With the recent increase in knife crime around our city we do think it is very important to have these discussions with our pupils and encourage all parents to do the same.